Did you know that iamsick.ca has filters that help you find the right healthcare provider? iamsick.ca‘s filters help you narrow down your search so you can find the right healthcare provider for you. You can access these filters on the iamsick.ca map. 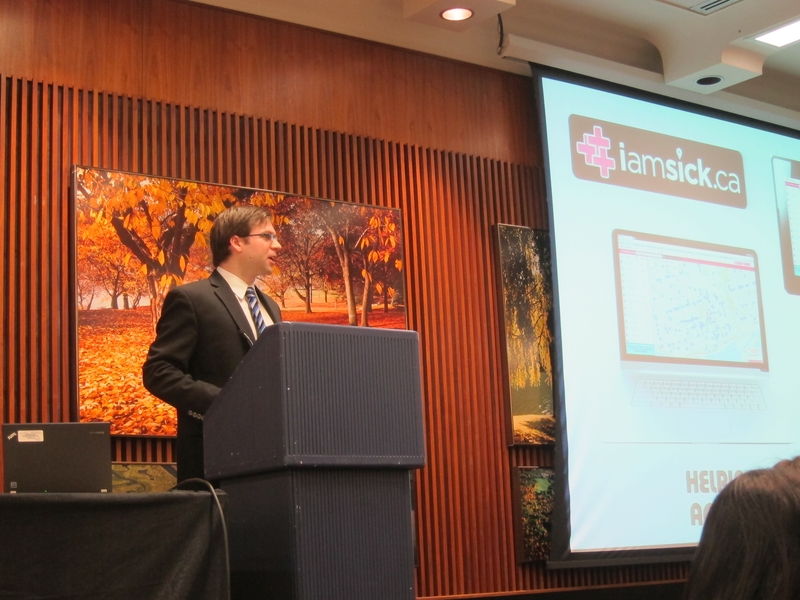 iamsick.ca displays different types of healthcare providers. These include: emergency rooms, pharmacies, diagnostic labs, urgent care centres, walk-in clinics and family doctors (rostered primary care clinics). Each type of healthcare provider offers a different service. 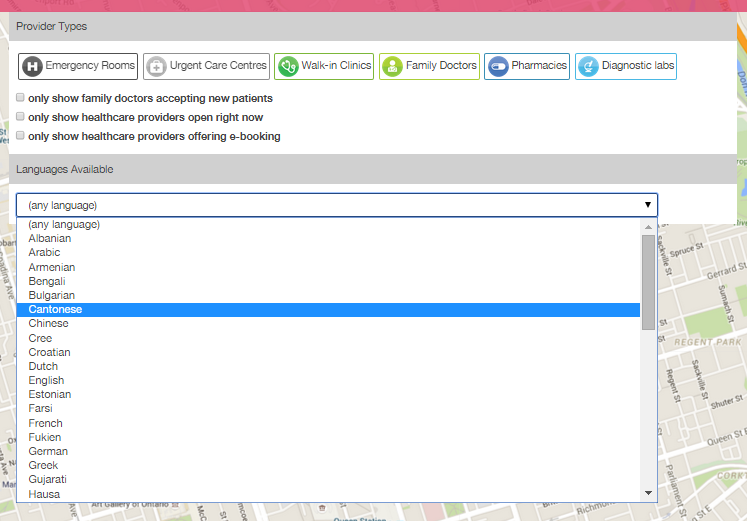 To view your nearest options, simply click to toggle the healthcare provider type that you’re looking for. Nearby providers become visible when the provider icon is coloured. If you are looking for a family doctor, click on the check box next to “only show family doctors accepting new patients“. If you can’t find one in your area right now, don’t fret! We are always adding new healthcare providers to our website. Check back later for the updated map. It’s hard finding open clinics and pharmacies during off-hours. If you are looking for a healthcare provider in the evening or over the weekend, click on “only show healthcare providers open right now” to find care when you need it. Did you know that you can book appointments online through iamsick.ca? To find a nearby healthcare provider that accepts online appointment booking, click on “only show healthcare providers offering e-booking“. Find nearby healthcare providers who speak a specific language with a simple click. You can filter by over 70 languages. Give our filters a try, and let us know how we can make your healthcare journey easier! Send us your feedback, questions & suggestions. You can reach us by email at team[at]iamsick.ca or leave a comment below.